Much like finding the perfect location for your consignment store, utilizing the right combination of social media platforms is essential to attract new business, keep your current customers interested and increase sales. In this blog we are going to review common mistakes made and how to prevent them, as well as review all of your available social media options and how they can best represent your consignment business. 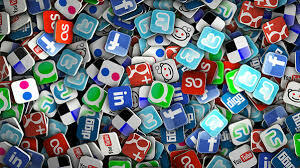 Many social media campaigns fail due to either an excess or lack of social media options for your online audience. Many business owners will rush to sign up for every social media platform available without considering the amount of time and content it will take to properly manage all these sites resulting in many of their pages seeing very infrequent updates. Your pages activity reflects directly on your business so if a potential or current customer comes across these pages and sees a lack of attention and content, that may create a negative view of your consignment business. Think of each of your social media pages as a store front; you wouldn’t allow customers to walk into an empty showroom, so take this into consideration when you are choosing the social platforms to use for your store. On the other end of the spectrum many businesses will put all efforts into one platform. More often than not this platform is Facebook and is quite often done because it is the social media platform that most owners are comfortable with and also can be used in place of having a website for their business. This tactic more often than not leads to over posting which can exhaust your social audience before they have a chance to come into your store. Social media is a great way to create interaction and gain attention from new and current customers but over posting can hurt you in the long run which is why it is wise to spread content and company news across more than one social platform. Finally, when deciding what platforms to use take into consideration how you will be posting content to your social media pages. Will you be posting strictly from your computer, tablet, smartphone or a mix of all three? This is a essential question to ask yourself because each option has their own set of limitations and abilities. Platforms like Facebook and Twitter are fairly easy to post and track from any device but platforms like Instagram, which is a great way to showcase your stores inventory, can only be run from a smartphone. Properly running all of your sites from one device may prove to be difficult, so take into consideration which devices you are comfortable using when choosing your social media platforms.